History of the FIFA World Cup™ Competition: Vuvazulas and Football Rattles: Where have they gone? One novel aspect of the FIFA 2014 World Cup TM was the unforeseen introduction to the football world of the vuvazula. A long plastic horn is blown by fans throughout matches. There were many complaints about the noise caused by the horns including Lionel Messi (Argentina) , who criticised the wall of sound for hampering communication among players on the pitch. Broadcasters too, found the cacophony of noise distracting and drowning out their punters’ commentary. Televised games no longer had the familiar ambient crowd sound which was displaced by the trumpeting vuvuzelas. Demand for earplugs to protect from hearing loss during the World Cup outstripped supply, with many pharmacies running out of stock. 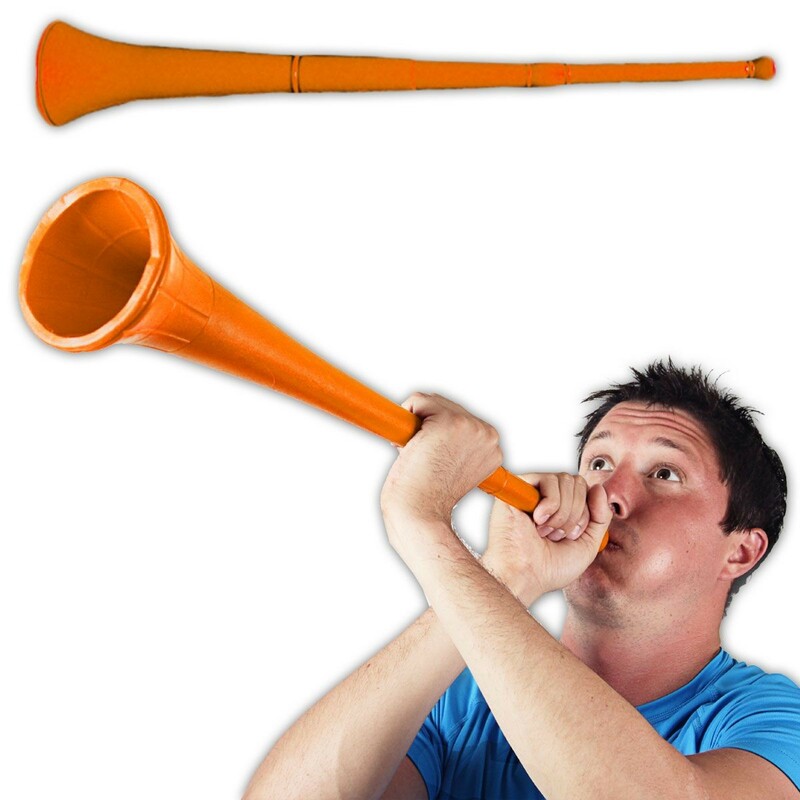 One major vuvuzela manufacturer even began selling its own earplugs to spectators. Vuvuzela also known as lepapata (in the Setswana language), is a plastic horn, approximately 65 centimetres (2 ft) long, which produces a loud monotone note, typically around B♭ 3 (the B♭ below middle C). Claims have been made the high sound pressure levels at close range can lead to permanent hearing loss for unprotected ears after prolonged exposure. The intensity of the instrument output depends on the blowing technique and pressure exerted. The modern plastic vuvazula originated from the traditional kudu horn, used to summon villagers to community gatherings. 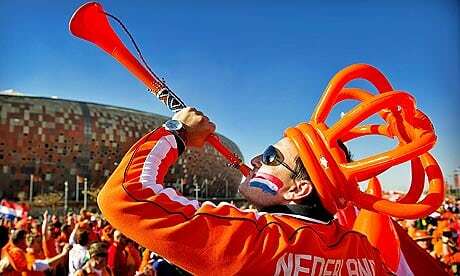 In 2002, Plastics factory Masincedane Sport popularised the ubiquitous plastic vuvuzela and these were quickly adopted by South African football fans and became aregular featured at local matches. Attempts were made to ban the vuvazula from FIFA World Cup TM stadia but when South African football authorities argued these were part of the South African football experience, the autorities turned a blind eye. 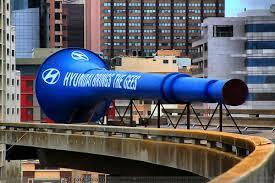 Not to miss a marketing opportunity, Hyundai constructed the world's largest working vuvuzela as part of a marketing campaign for the World Cup. The 35-metre (115 ft) blue vuvuzela mounted on the Foreshore Freeway Bridge, Cape Town was intended to be used at the beginning of each match; however, as the volume became a cause of concern to city authorities, the giant vuvazula was never sounded. A study in 2010 at the London School of Hygiene and Tropical Medicine concluded the spread of diseases by means of vuvuzelas was possible. Tiny droplets at the bottom of a vuvuzela could carry flu and cold germs that stay suspended in the air for hours, and can enter the airways of another person's lungs. Researchers at the University of Pretoria confirmed prolonged exposure to the instrument's high-intensity sound (15 minutes) could damage the individual's eardrums and the sound of hundreds of vuvuzelas blown together for the duration of a match (90 minutes +) would put spectators at a significant risk of hearing loss. 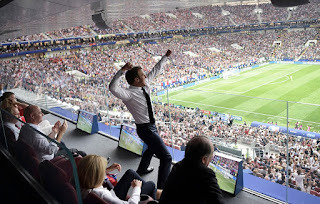 Post-2010 FIFA World Cup TM, overall condemnation of the vuvazula led to bans on noise makers from various sporting organisations at future events and venues, including future World Cups. In many venues spectators are no longer allowed to take into the ground: ; Air horns , unlicensed musical instruments, including trumpets, bagpipes, drums and "other devices capable of causing a disturbance or nuisance". South Africa is not unique when it comes to fans bringing instruments and other noise makers to the terracings. In the 19th century the domestic Dinner Horn could be put to good use in a rowdy crowd of barrackers. Much later however, in the 1960s, stadium horms were sold to soccer fans in North Amererica and Latin American countries. Football rattles were ratchet devices i.e. a grearwheel and a stiff board mounted on a handle, which rotates freely. As it is swung, the momentum makes the board click against the gearwheel, producing a clicking and rattling noise. Dynamics are controlled by the rate at which the ratchet is rotated. These were commonly used as baby toys but bigger and heavier versions were also taken to football games. 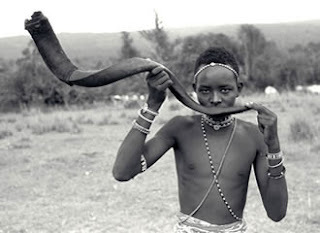 Wooden rattles (rachets) had been around for centuries, and were used as percussion instruments from Biblical Times. As the terraces became more violent, filled with warring groups back in the 70s, wooden rattles were banned but not for the noise they made, instead the popular fan impedimenta could be used as a weapon. Rather ironically, back in the 17th century, heavy wooden rattles were used by groups of colonists (the Rattle Watch) who patrolled the streets of New Amsterdam (New York), from sunset until dawn. They carried weapons, lanterns and wooden rattles. 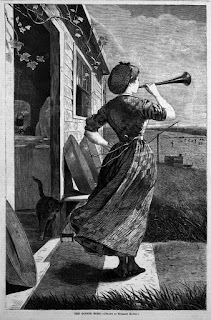 The rattles made a very loud, distinctive sound and were used to warn farmers and colonists of threatening situations. Then the sound of a wooden rattle was a rally to defend or form bucket-brigades to put out fires. By the 18th century, the London Peelers (policemen) used a policeman’s rattle to summon assistance. 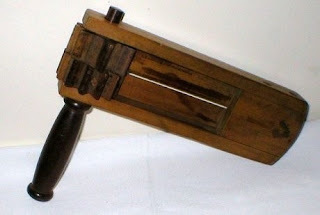 In the Great War (1914 -1918), wooden rattles were also used in the trenches to warn of poison gas attacks, and then again by ARP wardens during the Second World War, to warn of the presence of poison gas. Labels: Vuvazulas and Football Rattles: Where have they gone?